In the last essay we continued with our discussion on the words of the Apostle James that show us the nature of both wisdom and Wisdom; the former being the wisdom of the self which IS contributed by the personality of a man and the latter being Truly “the wisdom that is from above“. We should try to see that there IS a purpose in James topic here that reaches out to ALL who believe that the wisdom that they may have in supposed revelations and realizations IS from above and this while it still contains ideas that ARE easily relatable to what James calls “pikros zelos kai eritheia“. These Greek words ARE rendered in the King James Bible as “bitter envying and strife“, which DOES NOT show the True intent of the Greek words. Others render as “bitter jealousy and faction“, “bitter jealousy and selfish ambition“, “bitter emulation and strife in your hearts“, “bitterly jealous and filled with self-centered ambition” and “bitter zeal ye have, and rivalry in your heart” and each of these offers a different understanding of the idea that the apostle IS trying to convey. Based in the defining ideas of Strong’s and Thayer’s along with the commentary from Vincent, we should try to see the idea here of harsh emulation and a factious attitude while understanding that even the ideas of both of these have been diluted by the common understanding of the English words. As we discussed in the last posts, and in previous essays as well, the ideas attached to emulation should be as presented by Webster’s 1828 Dictionary; from the longer definition posted in the last essay we should see in emulation a: desire of superiority, attended with effort to attain to it which IS a most common human trait as well as one’s striving to equal or do more than others to obtain carnal favors or honors 1. These ideas ARE what IS originally meant by this word and combining these defining ideas with Vincent’s commentary we should be able to see the intent of the Greek words “pikros zelos“; Mr Vincent tells us that: Emulation is the better general rendering, which does not necessarily include envy, but may be full of the spirit of self-devotion 8. Regarding the final word here, eritheia, Vincent tells us that strife IS: A wrong rendering, founded on the mistaken derivation from ἔρις , strife. It is derived from ἔριθος , a hired servant, and means, primarily, labor for hire; and, after some comparisons, he goes on to tell us that the idea IS them that are contentious ( ἐξ ἐριθείας )lit., of faction 4. This agrees with the defining ideas from Strong’s and Thayer’s that we discussed in the last essay and here again we need to look at the definition of the English word faction. The whole idea here IS that James IS showing us the difference between wisdom and Wisdom from a perspective of what IS or IS NOT Truly coming from above and here the idea of above IS opposite of what IS “earthly, sensual, devilish“. And the qualities of wisdom and Wisdom ARE disparate with the former belonging to the world and the latter to what comes from God and here we should understand the source as one’s own Soul, one’s own Christ and God Within. This Wisdom then IS spiritual and as we discussed in the last essay the idea of proton men hagnos as James frames this IS “first Truly hagnos” or “first Truly holy“. This idea IS NOT in regard to any carnal ways of men; this IS a spiritual idea in a spiritual context and the common understanding of being carnally pure or chaste ARE misplaced here. Again James IS showing us wisdom compared to Wisdom in the thoughts and ideas that one presumes come from above and we should understand here that to include carnal ideas here totally misses the apostle’s point. In the idea of hagnos we should see thoughts and ideas that meet Thayer’s definition of: pure from every fault, immaculate 9. Again, James us showing us the nature of thoughts and ideas and NOT of men and here we should try to understand that “the wisdom that is from above” IS simply Truth and Love. Simply put, the ideas and thoughts that ARE from above DO NOT involve anything that could be construed as emulation and here we again refer to Vincent’s comments of the nature of zelos….that: Emulation is the better general rendering, which does not necessarily include envy, but may be full of the spirit of self-devotion 8. To this we should tie the defining ideas on emulation which ARE summarized as a: desire of superiority, attended with effort to attain to it which IS a most common human trait as well as one’s striving to equal or do more than others to obtain carnal favors or honors 1. In repeating these defining ideas we ARE trying to show the importance of them in today’s world where so many people believe that what they ARE perceiving as being from the Lord while so much of their thoughts concerns strictly carnal matters. Granted it IS difficult to search one’s own heart to understand if the nature of one’s realizations ARE covered in this idea of zelos but there IS a most simple way. If whatsoever comes to one as “from above” contains any idea of the self, of I and of me; if there IS any benefit to the man himself, be it physical or psychical, then it IS NOT from above but IS rather “earthly, sensual, devilish“. While this seems to cover one’s thoughts and ideas that ARE of benefit to the self in the world, there IS more. In the idea of eritheia there IS an equally telling human trend which IS a fundamental human flaw and one that has led to much of the “wars and fightings among you” that James goes on to discuss. Here, whatsoever thoughts and ideas ARE divisive or factious ARE also “earthly, sensual, devilish“; these include most ALL religious thought that IS NOT universal, most ALL Christian thought IS NOT, and ALL political ideas that embrace national pride over a world view; and here we should understand that there IS NO greater opposition to a world view than much of the conservative parts of the Christian church. 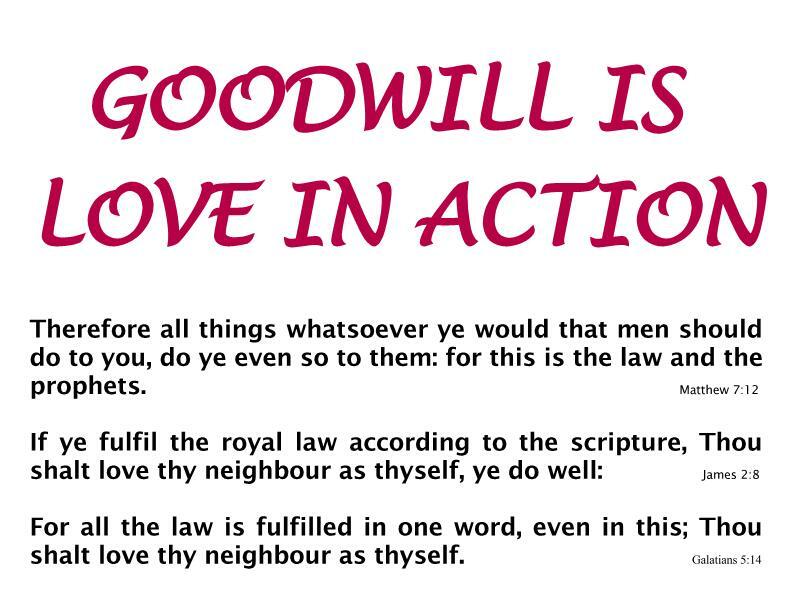 We should understand here that in Jesus words on agape, in His lifting up the most basic commandment relating to men that “Thou shalt love thy neighbour as thyself “, we have the foundation of a worldly view from a spiritual perspective. It IS this perspective that must be expressed in this world and NOT the separatist and prejudiced ideas that stream from the carnal minds of men. Here we should understand that most ALL “wars and fightings among you” ARE based in such ideas that see the carnal differences in appearance, in culture and in religion as justifiable reasons to reject a world view which, from the Christian perspective on religion, finds its anchor in the Christian doctrine that claims Christ as the ONLY way. From a Truly spiritual view this IS True; from the perspective that in the teaching of Jesus, in His words on Love and Truth and on the need to look away from the things of the self and toward the things of God, we DO find “the way, the truth, and the life” (John 14:6). It IS Love, it IS the Truth of His words and it IS His view of the world of men without “respect of persons” (Colossians 3:25) that ARE representative of the Christ, the Anointed One, and it IS these that ARE the greater Truth of salvation. We should understand here that beneath the doctrinal ideas of every World Religion these same precepts lie and while they may be reflected in different ways the final reality IS every the same. ALL True religions teach Love; not as the common idea of men’s emotional and mental attachment and attraction to others, but as the higher principals inherent in the True reality of agape which IS framed for us by the Master’s words saying “Thou shalt love thy neighbour as thyself ” and His explanatory words saying “Therefore all things whatsoever ye would that men should do to you, do ye even so to them” (Matthew 7:12). And ALL True religions teach the idea of focus upon the Godhead which IS to take one’s focus off of the self and the things of the self; it IS upon this that the emphasis of some religions are based and if we look closely at the ideas of forsaking desires, we can find behind these a most clear view of the reality of agape. It IS idea of forsaking however that IS most ardently fought against by the Christian world and this despite the words of the Master and His apostles that teach that the focus of a man should be upon God. In the fixation of the Christian world upon their own view of Truth we have a major source of the factious and divisive attitudes that have plagued humanity for 2000 years and it IS in the Jew’s view of being God’s ‘chosen people’ that such divisiveness preceded the advent of the Christ. Again we must remember that James’ words ARE in regard to wisdom and Wisdom and NOT in regard to the actions of men in this world. It IS the thought and the idea that Christianity IS the ONLY way to salvation, an idea that IS thought by the Christian world to be Wisdom, that has resulted in their own factious and divisive views and this perspective can ONLY be seen as wisdom, as being “earthly, sensual, devilish“. This IS the reality of eritheia and combined with the reality of zelos which IS highlighted by the Christian refusal to even entertain ideas of forsaking worldly pleasures in favor a continued desire of superiority and one’s striving to obtain carnal favors or honors 1, we have a picture of that wisdom which “descendeth not from above” but Is clearly of the world. To be even clearer we need ONLY to look as what James identifies for us as the opposite of this wisdom which IS that Wisdom that “that is from above” and which IS “first pure“, an idea that should be seen in terms of the spiritual Truth of being holy. Again James IS NOT speaking here about men but about those thoughts and ideas that enter into the minds of men. How then DO we qualify a thought or an idea as holy? Simply by measuring it against the Truth of the words of the Master; words that ARE NOT concerning oneself nor ARE they divisive although some Christians will point to some of Jesus’ ideas as being so. Jesus’ words ARE however the Truth by which the whole idea of wisdom versus Wisdom IS based and here we CAN NOT use whatsoever IS deemed as divisive as an indicator of what Wisdom may be in the thoughts and ideas of men. We should try to see here that there IS a struggle between the Truth and what others may believe IS the Truth and it IS this believing the untrue to be True against which the Master speaks; He speaks of Wisdom versus wisdom. The Jews believed that by their doctrines that they were ‘holy‘ if we can use that word here and it IS against this presumption that Jesus teaches as He shows them how that their thoughts and ideas ARE but wisdom which IS contrary to any view which He offered them. Jesus IS showing them how that their 613 mitzvah ARE NOT based in the root commandments that instruct men on the relationship between man and God and between man and man but rather in the ancillary ideas provided by Moses which covered the mundane and the personal. While we should remember that the primary commandments ARE inherently a part of the mitzvah, we should at the same time note that the force given to them in the lives of men was minimized and allowed to become secondary and even less in the eyes of many of the Jews’ religious leaders. It IS this same that has befallen Christianity as the doctrines of men have supplanted the Truths of Jesus’ words and the amplifying and clarifying words of His apostles. And here IS the rub: many a Christian believes that those ideas and thoughts that ARE doctrinal ARE Wisdom even when their concern IS the carnal self in this world while Truly holy thoughts and ideas based in the Truth of Love for ALL men without “respect to persons” (James 2:9) are regarded as wisdom and this includes such thoughts as One Humanity, One World, One God. Paul tells us, as men whose focus IS upon the Lord and NO longer upon the self and the things of the self in this world, that “we have the mind of Christ” (1 Corinthians 2:16). While this high ideal shows us that the man who Truly DOES have “the mind of Christ” will have the same holy thoughts as DOES the Master, the saying has been hijacked by the doctrines of men and made to imply that every ‘believer‘ according to doctrines has “the mind of Christ” while yet entertaining purely carnal thoughts and ideas. This doctrinal mindset that applies a holy status to men whose lives ARE carnal IS the mitzvah of Christian doctrines and, as we have previously discussed, this dynamic puts the Christian behind the Jew from a spiritual perspective. The Jew had the combined law from which he chose to focus upon the ancillary and carnal while the Christian has created his own law, his own mitzvah, upon which he focuses and this in place of the clearly stated Truths of the Master’s words. These doctrines of men have created vain reasoning by which they can accept that their interpretations of the words of the apostles should take precedence over the words of the Christ and while many DO speak of keeping His commandments as a part of His words, they DO NOT connect this to their search for salvation. And, at the same time they separate themselves from the Jews’ ways not ONLY in seeing but a shadow of their wrongness which Jesus shows us but also in their vain view that the Holy Spirit was NOT given to them, or any, until the day of Pentecost where it becomes the privy of ‘believers‘. Of course this last point IS contrary to the way that the idea of the Holy Spirit and Holy Ghost ARE used in the Old Testament and the New in times before Pentecost. Much of this idea of the Holy Spirit IS based in the way the Apostle John views this idea plus the Christian picture of the scene at Pentecost with “a sound from heaven as of a rushing mighty wind” (Acts 2:2). Our point IS that the Holy Spirit has ever been with man and IS man, that there IS NO difference between having realization of the God Within, the Christ Within or the Holy Spirit as these ARE ever One operating in the Life of everyman here in this world. That this inner Truth goes unnoticed and IS rather unexplainable in human terms DOES NOT preclude its Presence and if we could see how that the way of dealing with this Truth in the obscure way that scripture DOES IS purposeful, we can then perhaps better understand. ALL of this goes back to the way that James shows us the difference between wisdom and Wisdom and the way that John introduces the idea of the unction and the anointing. If we could see that in his idea that “the Holy Ghost was not yet given“, an idea that IS parenthetically his own, we have his way of showing us that they DID NOT understand the Master’s Truth, we can perhaps see how that their own realization unfolded in their lives. We should note here that the word given IS added by the translators in most bible versions; the idea IS NOT in the Greek which literally tells us only that “the Holy Ghost was not yet“. While the idea IS rendered as received by some, others render this literally and still others show us the idea as “they hadn’t experienced the Spirit yet” (The Common English Bible). We should try to understand here that the idea that “the Holy Ghost was not yet” should be seen in terms of realization of the Inner Man, an idea that IS foreign to men in those days, and that the reality that John is showing us IS intended for the apostles and others “that believe on him” (John 7:39). Here we should remember the significance of believing on and believing in Him as shown to us by Vincent who tells us that: to believe on the Lord Jesus Christ is not merely to believe the facts of His historic life or of His saving energy as facts, but to accept Him as Savior, Teacher, Sympathizer, Judge; to rest the soul upon Him for present and future salvation, and to accept and adopt His precepts and example as binding upon the life 4. While the doctrines of men have so diluted and changed the Truth behind John’s words to suit their own doctrinal views, understanding them IS critical to understanding the source of both wisdom and Wisdom in the Life of everyman. In the literal idea that “the Holy Ghost was not yet” we can see the greater point which IS that the Holy Spirit, an integral part of the Trinity, was ever present but unrealized by the apostles and here we should see multiple reasons. First the apostles and disciples of Jesus had the Master in their presence and in this they were able to take from Him the Wisdom of His teachings; then there IS the novel nature of this idea of a Holy Spirit which IS ONLY spoken of in regard to prophets and kings (David specifically) who had realization of His Presence as the ‘voice’ of the Lord. Jesus speaks of this dynamic as He instructs His apostles with such ideas as “It is expedient for you that I go away: for if I go not away, the Comforter will not come unto you; but if I depart, I will send him unto you” (John 16:7). We should understand that the idea here of leaving IS in reference to Jesus’ death and the completion of His mission here in this world but the idea of “I will send him unto you” IS NOT exactly what IS intended to be understood. We should try to understand again that these apostles DO NOT KNOW what the Master IS speaking of, there IS NO precedent for the Spirit to be with them after His departure and we can see here either the use of simple terms which they can understand or we can see the doctrinal view that the Holy Spirit was NOT in the world before Pentecost. While there IS universal acceptance of this idea of His sending the Holy Spirit, we should understand that it IS from a doctrinal perspective that this idea of “the Holy Ghost was not yet given” helps to separate the Christ from the Jews and the new covenant from the old. However this IS framed by the various doctrinal approaches to the Lord, the reality IS that there IS the Presence of the Holy Spirit in the Old Testament and in the beginning stories of the New Testament. In Psalm 51 David writes “Cast me not away from thy presence; and take not thy holy spirit from me” (Psalm 51:11). Similarly Isaiah speaks of the Holy Spirit saying “But they rebelled, and vexed his holy Spirit: therefore he was turned to be their enemy, and he fought against them. Then he remembered the days of old, Moses, and his people, saying, Where is he that brought them up out of the sea with the shepherd of his flock? where is he that put his holy Spirit within him?” (Isaiah 63:10-11). In the New Testament narrative surrounding Jesus’ birth we find such ideas as, speaking of Mary, “she was found with child of the Holy Ghost” (Matthew 1:18); the Apostle Mark tells us of Jesus’ own words concerning this as he writes that “he that shall blaspheme against the Holy Ghost hath never forgiveness” and then affirms for us what the Psalm implies saying “David himself said by the Holy Ghost” (Mark 3:39, 12:36). Speaking of John the Baptist the Apostle Luke records the words of the angel saying “he shall be filled with the Holy Ghost, even from his mother’s womb” (Luke 1:15) and if we can see that Zacharias vision here IS in fact his own revelation and realization of Truth from that “still small voice” (1 Kings 19:12) of God Within, we can have a better view of the reality of James’ words on wisdom and Wisdom. In such ideas as these as well as those of the individual persons that we read of as “Elisabeth was filled with the Holy Ghost“; “Zacharias was filled with the Holy Ghost“; and Simeon of whom we read that “the Holy Ghost was upon him” and that “it was revealed unto him by the Holy Ghost, that he should not see death, before he had seen the Lord’s Christ” (Luke 1:41, 67; 2:25-26). Lastly we should NOT forget the idea that Jesus presents to us according to Luke; we read “how much more shall your heavenly Father give the Holy Spirit to them that ask him?” (Luke 11:13). There IS likely NO better representation of the spiritual idea of the Presence of God in one’s Life that these words from the Master and in these we see the simultaneous Presence of the Father and the Son as Jesus tells us that “we will come unto him, and make our abode with him “. This IS an important point that eludes men in this world whose view of Life is physical rather than spiritual; this IS the spiritual idea of One God existing as One. We should try to see that ALL references to the Father, the Son and the Holy Spirit as separate ideas ARE just that….separate ideas; they ARE but different Aspects of the One God that ARE used for the convenience of the understanding of the man in this world. This understanding however has been subverted by the doctrinal excursions that men have taken as they built their own ideas of the Trinity. We had been publishing a chart with each essay that shows the Aspects of God and their meaning according to their activity in the Godhead and man; with this new software version however the chart DOES fit or align properly and we had to remove it. We will fix this soon and return the chart to our published essays. Our point here IS that it IS in the Presence of God that we find “the wisdom that is from above” and it IS in keeping His words that we find His Presence. In this we have yet another KEY to the reality of this Wisdom: while this Wisdom NOT ONLY meets the criteria that James assigns to it, being free from the sense of self and Truly holy, it IS ONLY KNOWN to the man whose focus IS upon the Lord, the man who IS striving to keep His words. It IS this man that can embody such Wisdom and express it as it flows through his being and in this way we can tell the man who has such Wisdom….by the Wisdom that he expresses. We have discussed how that this Wisdom IS proton men hagnos or “first Truly holy” ; this IS the lead idea in James list of which Vincent tells us: First; Emphasizing its inner quality, pure, as distinguished from its outward expressions. The idea is not first numerically, but first essentially. The other qualities are secondary as outgrowths of this primary quality 4. We should understand here that the rest of the apostle’s list IS of NO less importance than proton men hagnos and ARE parts of the whole idea of holy….to be Truly holy this Wisdom and the man who wields it must perforce be “peaceable, gentle, and easy to be intreated, full of mercy and good fruits, without partiality, and without hypocrisy “. Furthermore we should remember here that like the translations and the interpretations of the former ideas of “pikros zelos kai eritheia“, these ideas ARE NOT to be understood strictly as they ARE rendered but in the deeper ideas that pertain to the Wisdom itself.